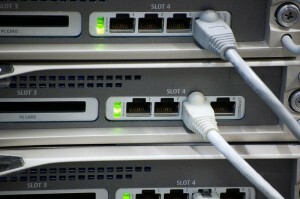 Data Cabling, Network Cabling, Cat 5 Cable, Fibre Optic Cabling and AV Cabling -NM Cabling Solutions. Serving all areas of London and the Home Counties – data centre cabling and network cabling for offices, hotels and apartments. Structured Cabling solutions such as Cat5 cable, Cat 5e / Cat6 and Cat6A. Bundle Cable solutions ideal for the Datacentre environment and new builds with false floors. Fibre Optic Installations (Multimode & Single Mode). Telephone Cabling. If you have problems with your data cabling or telephone network or if you are considering moving office or changing your office layout, please contact us for a free network survey and quotation. We are happy to work ‘out of hours’ at no extra cost to minimise disruption and get you back up and running in the least possible time. Just drop us a line, call or complete the form below and we’ll get back to you very quickly.